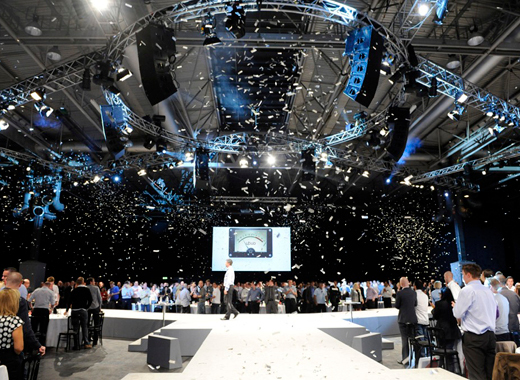 The NEC Group has been Bringing Live to Life for over forty years'. Our iconic venues - the National Exhibition Centre (NEC), the International Convention Centre (ICC), Genting Arena, Barclaycard Arena and Vox Conference Centre - are host to some of the world’s highest profile artists, amazing exhibitions, engaging conferences and immersive live events. From regional sales meetings to national conferences, and from immersive AGM’s to intimate board meetings, our world-class venues can accommodate all types of events and live experiences to meet every need from 2 to 8,000 or more delegates. If you need to organise an event in a well-connected location and want a team to help take the stress out of the planning and delivery, we have the perfect spaces just for you. Check out our specialist venue finder to see which of the NEC Group's venues best suit your needs.